Metal pressing is a technique that we use a lot at European Springs in order to create our bespoke pressings and stampings. The basic idea behind the procedure is to manufacture a lot of component shapes from a number of metal sheets. The aforementioned end can be achieved using either a die or even hand operated tools as required. The aim behind such a massive undertaking is to form components that are all exact replicas of each other, so naturally the method must be extremely precise. Pressing usually involves using a press tool to form the shape. Sometimes known as deep drawing, the procedure is based around a ram and a bed. The ram conforms to the internal dimensions of the component that is to be pressed, whilst the bed takes on the exterior measurements. Once the material has been loaded onto the press, a pressure plate is then utilised and the ram can be brought down onto the bed. The material will then flow into the desired shape (as dictated by the bed). The process of metal pressing is very accurate and adheres to very high tolerances, but can actually be hugely cost effective when used to manufacture large quantities of pressed shapes. It is also possible to set multiple sheets of metal to press at the same time, thereby increasing efficiency and further minimising the related costs. Here at European Springs, we regularly deal with orders that require tens of millions of components to be made, so we feel confident that we can cope with even the largest orders for metal pressing. The end products of metal pressing are myriad in their designs and purposes. Metal pressing and stamping generates numerous component pieces that are used in a variety of devices including cups, containers and batteries. Different materials can also be pressed to allow even more utility; so many metal pressed shapes find themselves in more demanding situations like within engines, cars and even space shuttles or the aerospace industry. Metal pressing, especially deep drawing, is also a hugely flexible technique, so specially made &apos;one-off&apos; products can also be attained without any real concerns over reduced efficiency. The topic of pressings and stampings is a complex one, but here at European Springs we possess the very latest technologies and the most proficient toolmakers to give us a considerable edge in this field. 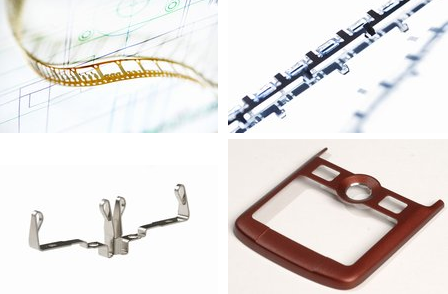 Because of the quality of our products, our pressings and stampings are used all over the world, and invariably deliver premium results no matter how they are used. For more information, please contact us now.